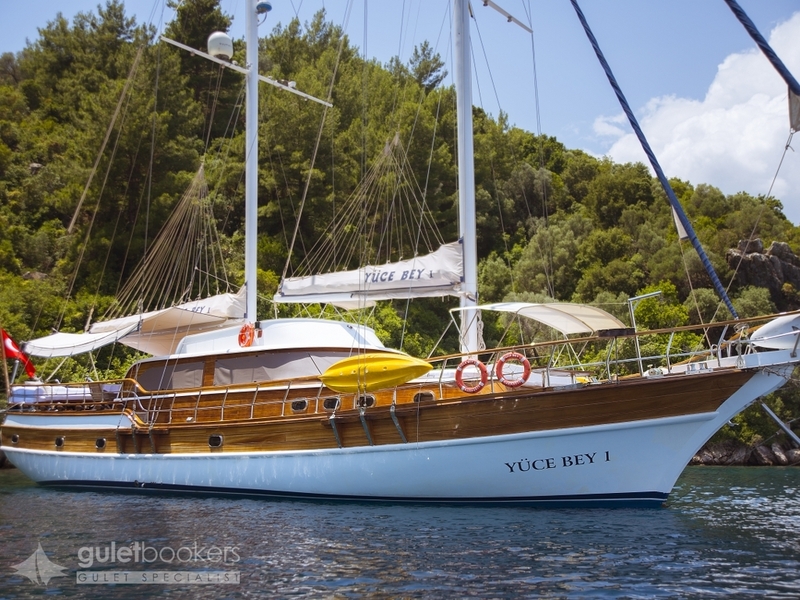 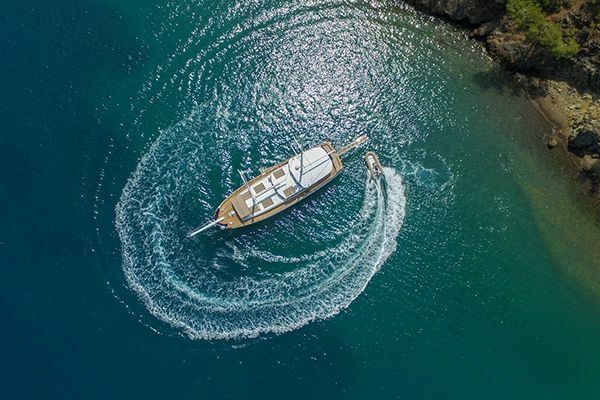 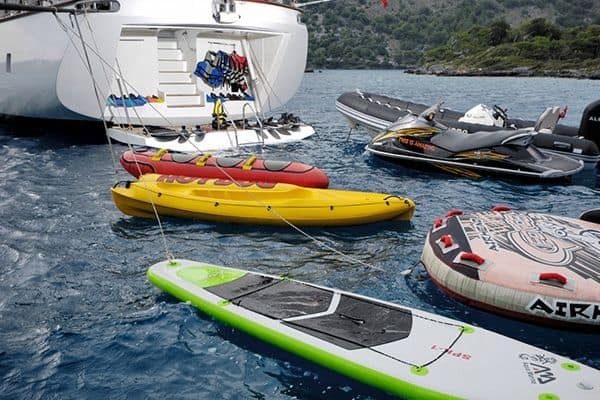 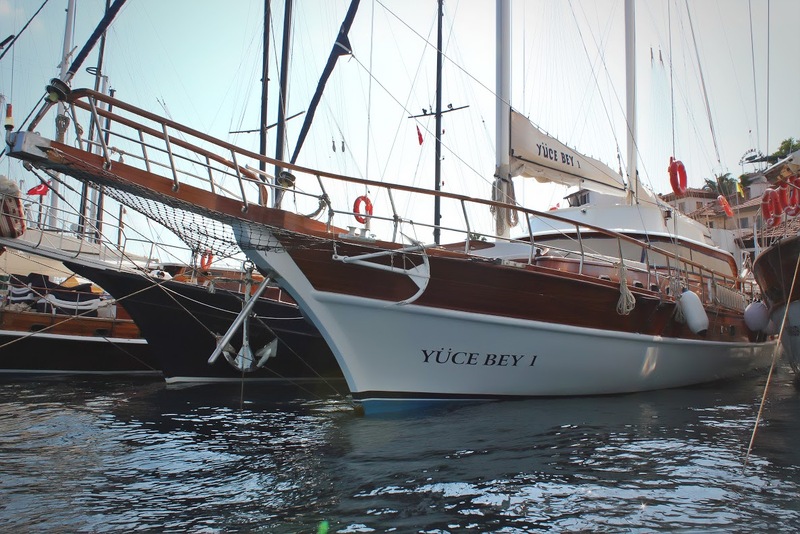 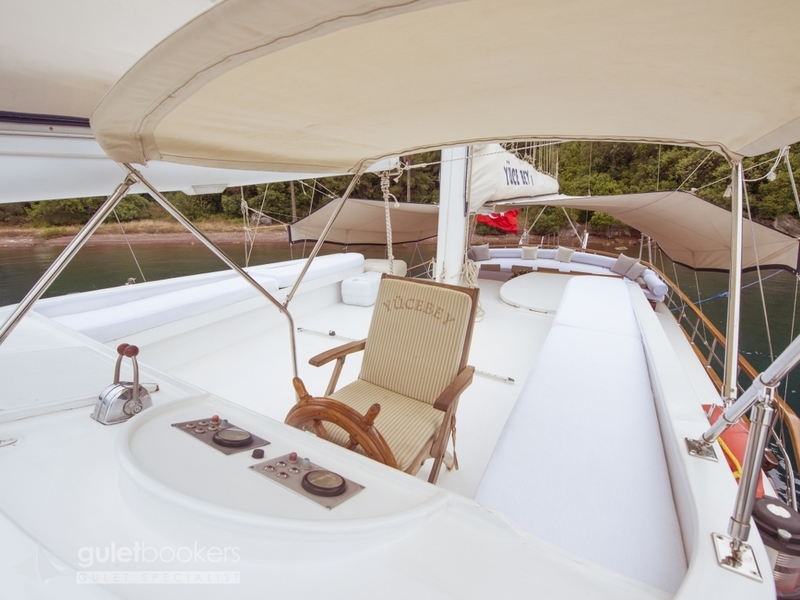 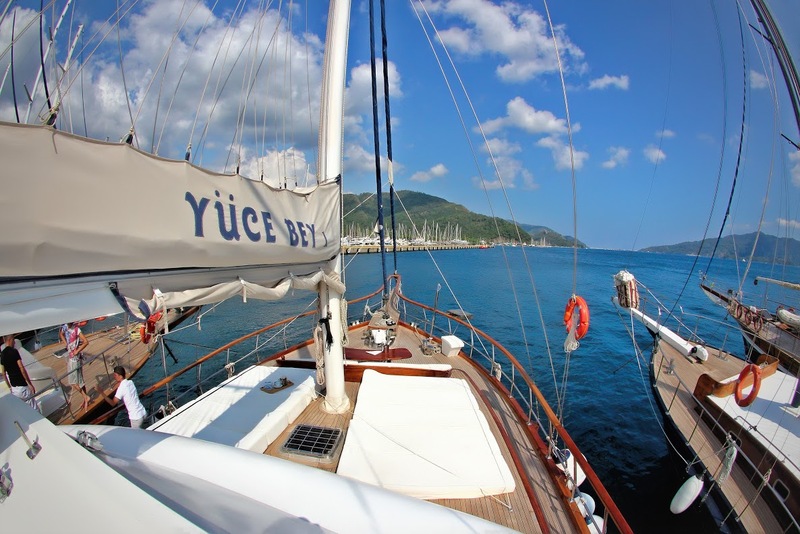 For a luxury yacht charter in Turkey, the all wood gulet Yucebey 1 offers one of the most relaxing, luxurious cruising experience along the Turkish Riviera- between Antalya, Marmaris, Bodrum and Kusadasi. 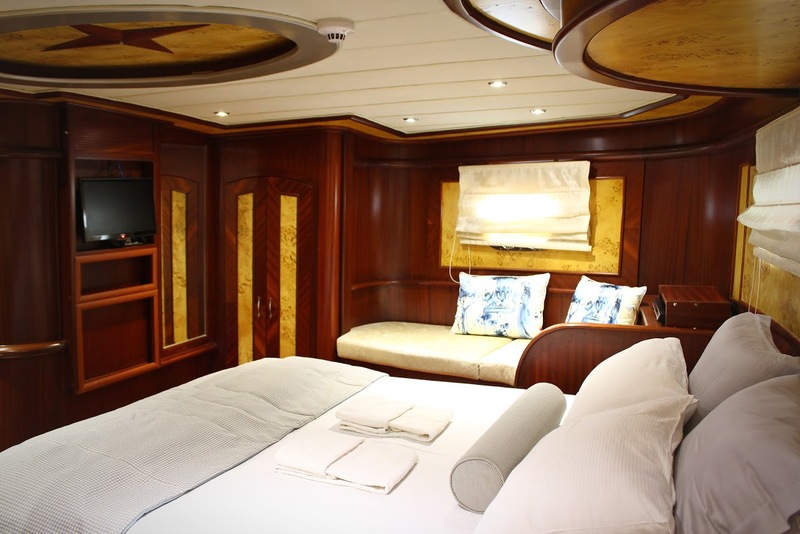 Handsomely built in teak and mahogany the beautifully kept boat gleams inside and out, and the contrasting timbers used in the comfortable master, two double and two twin cabins lend a luxurious ambiance to the guests’ cabins. 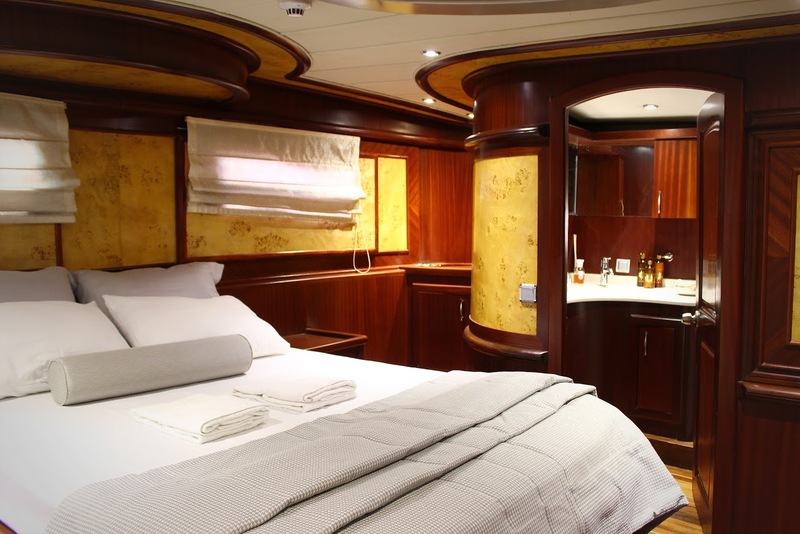 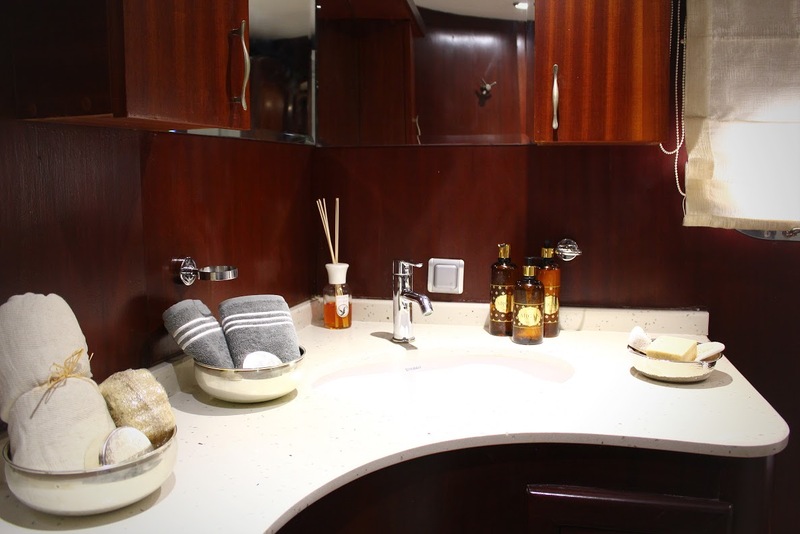 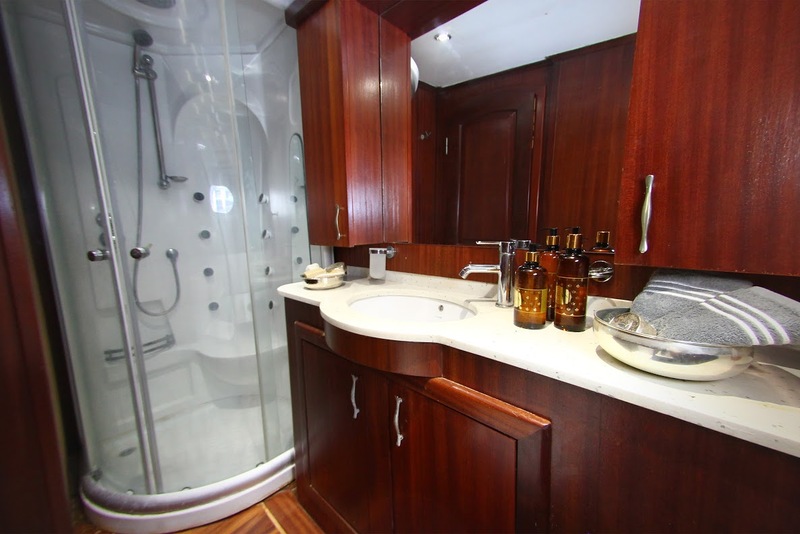 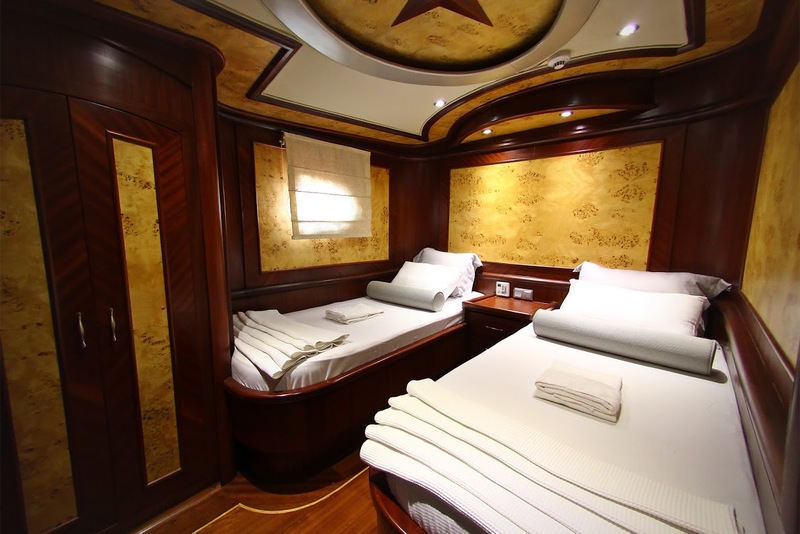 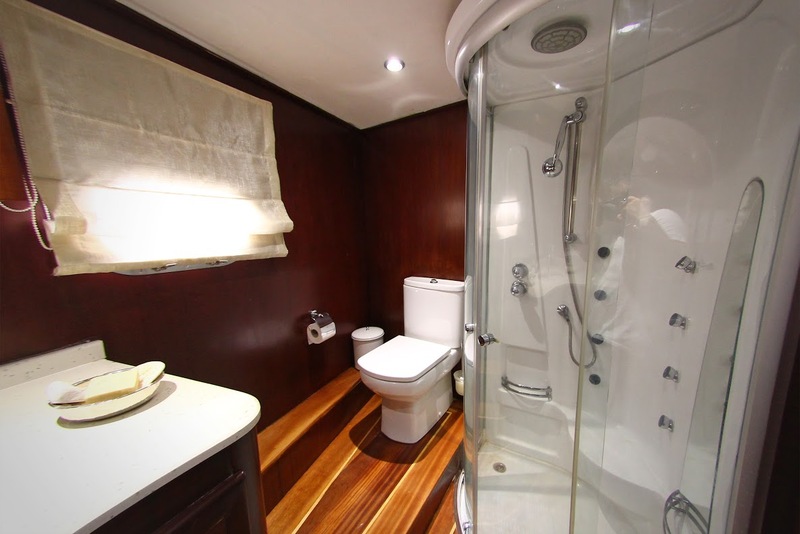 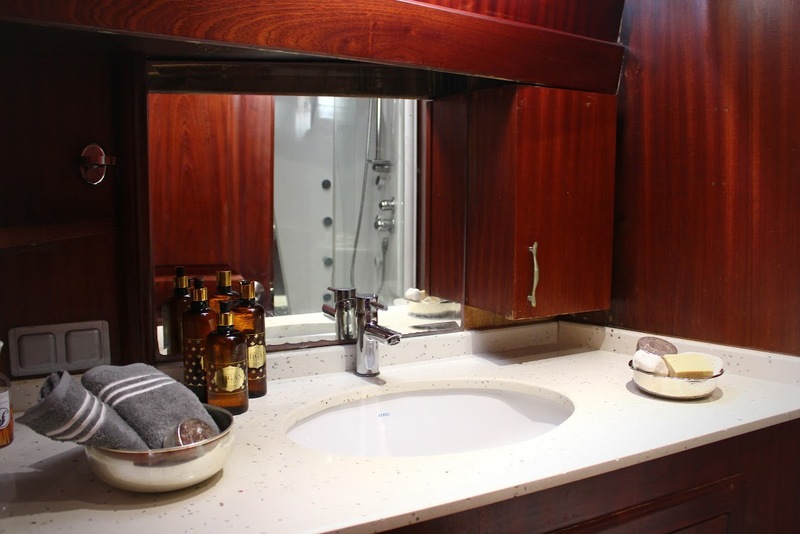 All cabins are air-conditioned with their own well laid out bathrooms where there is space and comfort. 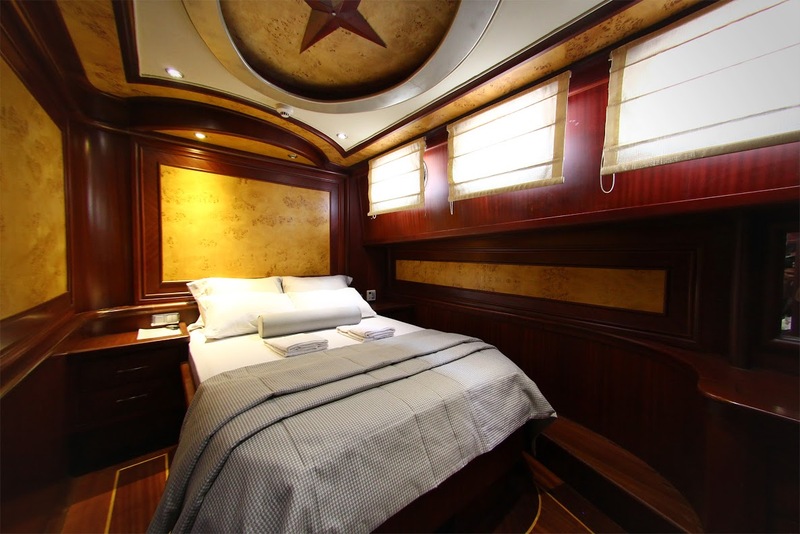 The master cabin with the centrally aligned bed enjoys ample space across the whole beam with a seating bench to one side and storage space. 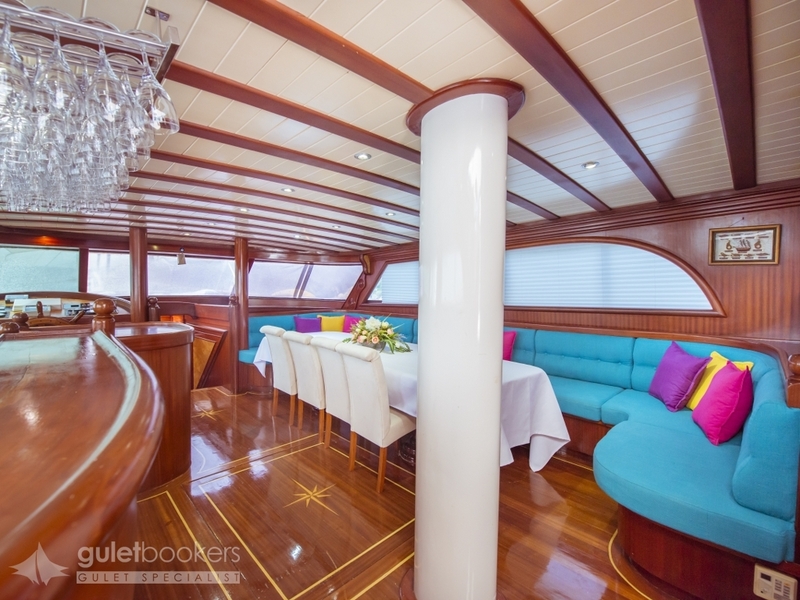 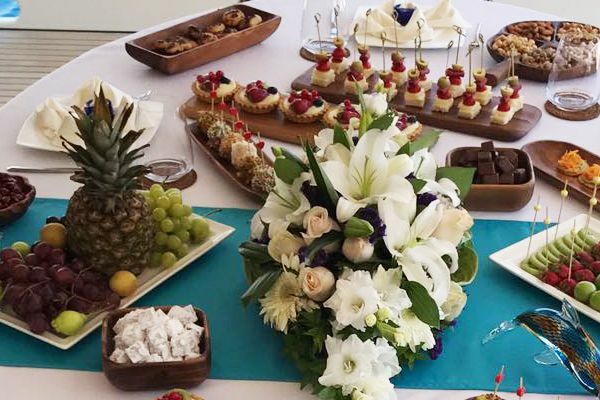 For more space to relax there is the air-conditioned indoor saloon with a comfortable cushioned seating bench at the indoor dining table set across from the well-equipped bar, and above the galley where all the gourmet meals are created the cook. 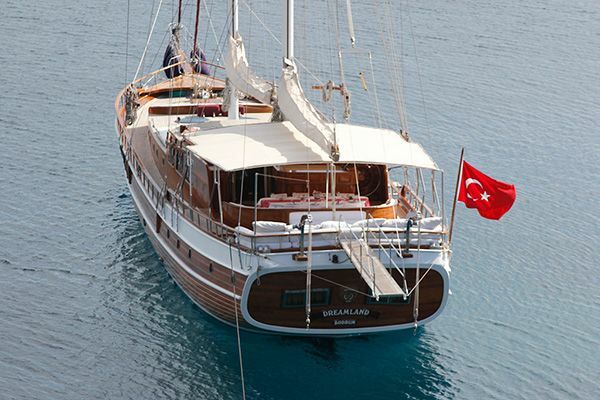 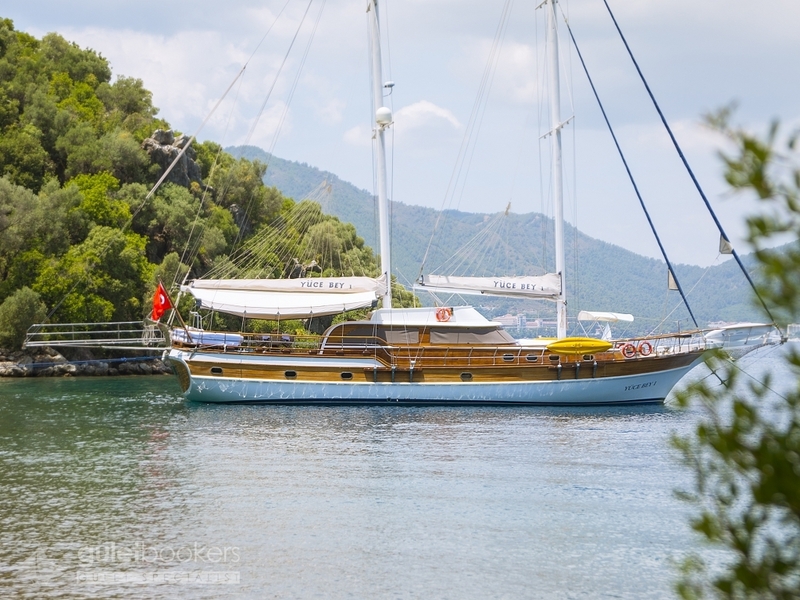 The TV/DVD and music system, internet access complete the indoor comforts of the gulet. 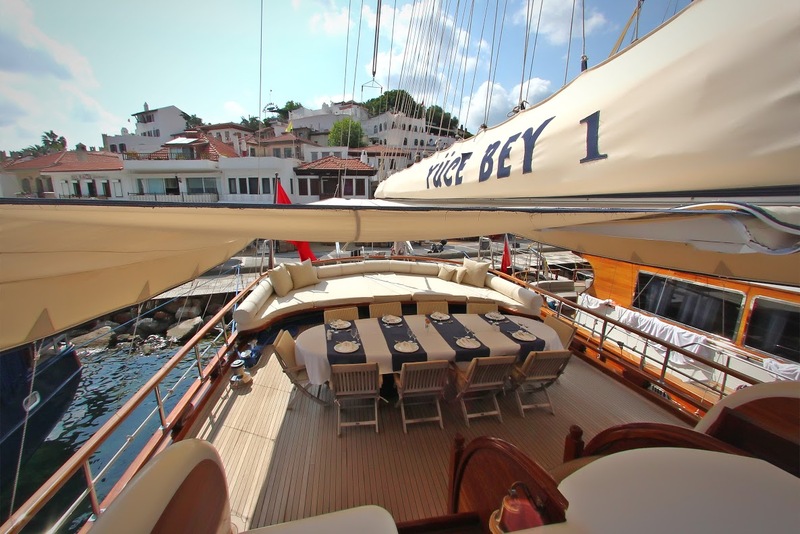 But the best space of a classic luxury gulet is on the deck, where there are many areas for guests to relax and enjoy themsleves. 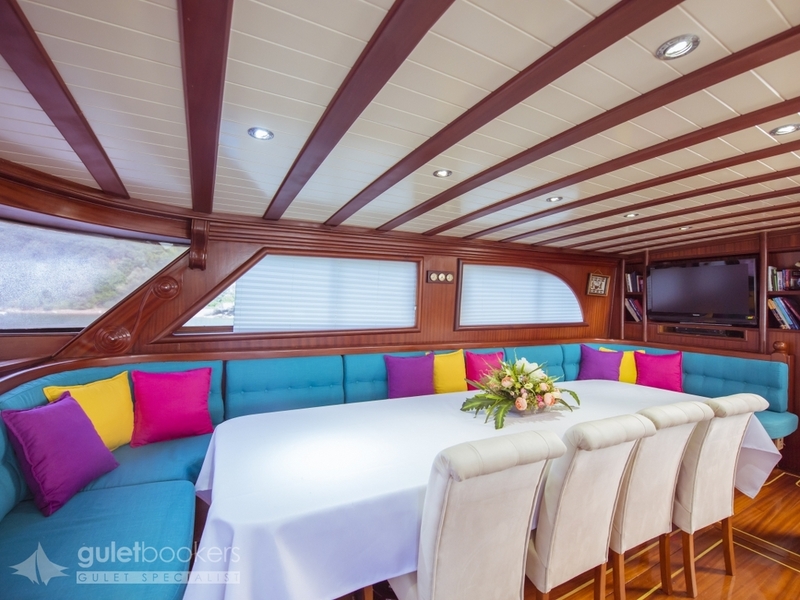 The aft deck allows a large table and chairs for al fresco gourmet dining under the awning, a space shared with the enticing large swathe of cushion pad across the stern, ideal for lazing at any time of the day or night. 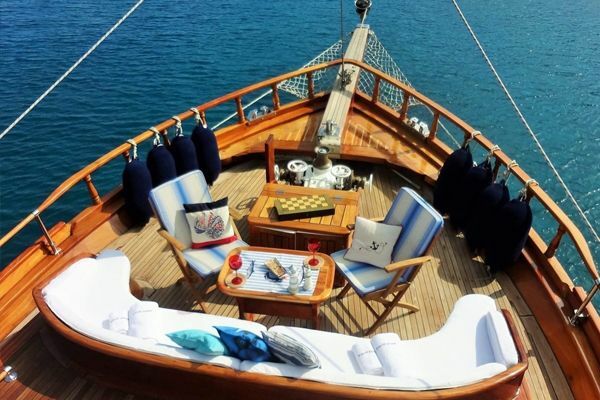 For even more space to relax there is the fore deck with the personal sunbeds for a sunbathe or the inviting curved bow seat to enjoy the views from while the gulet sails along the magnificent Turkish coast. 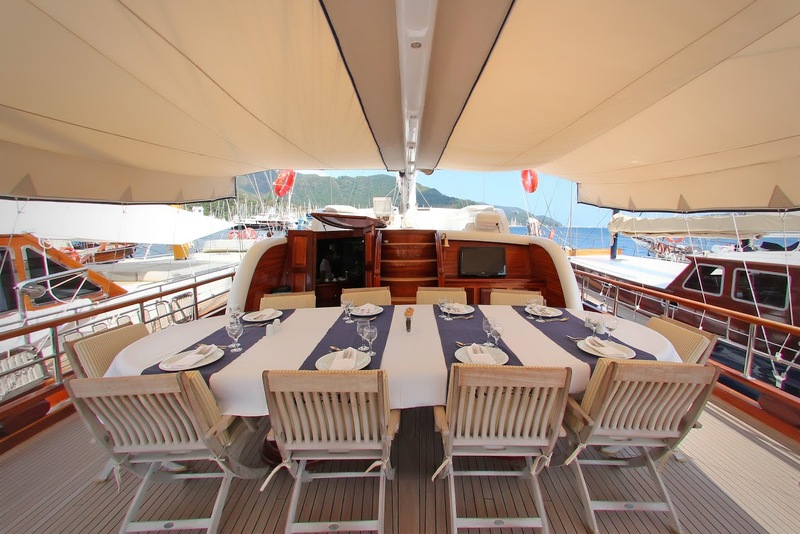 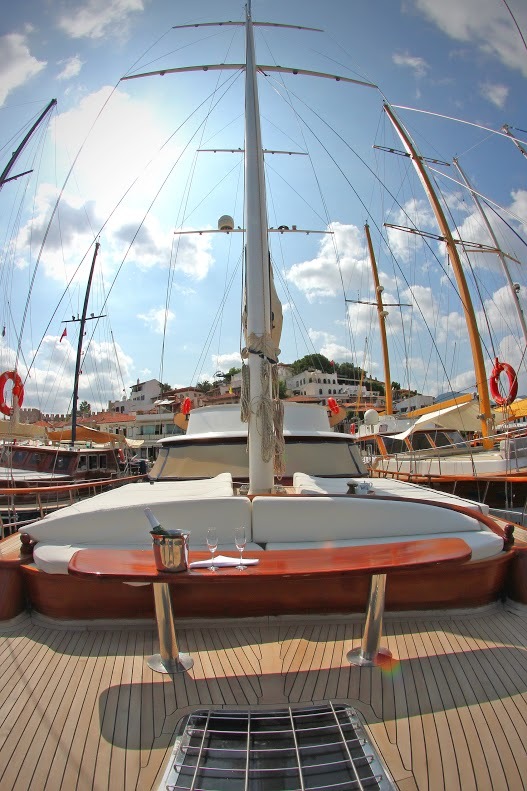 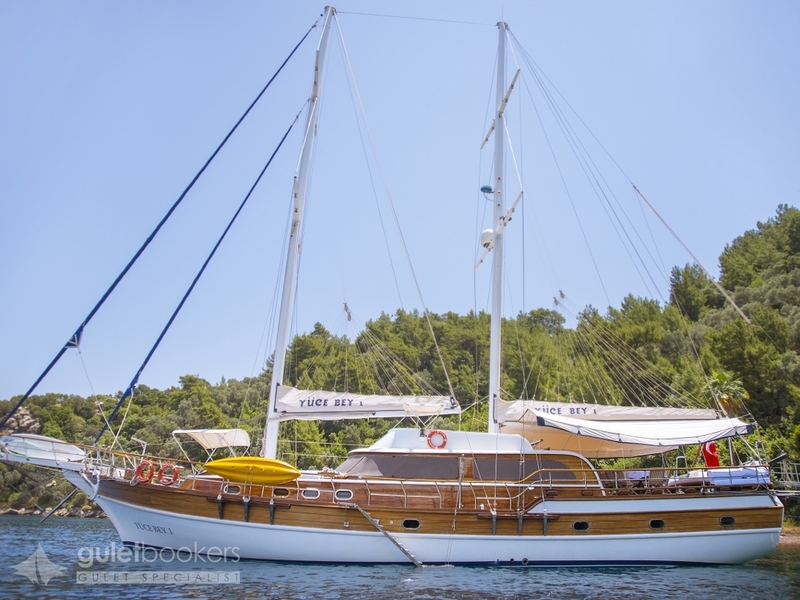 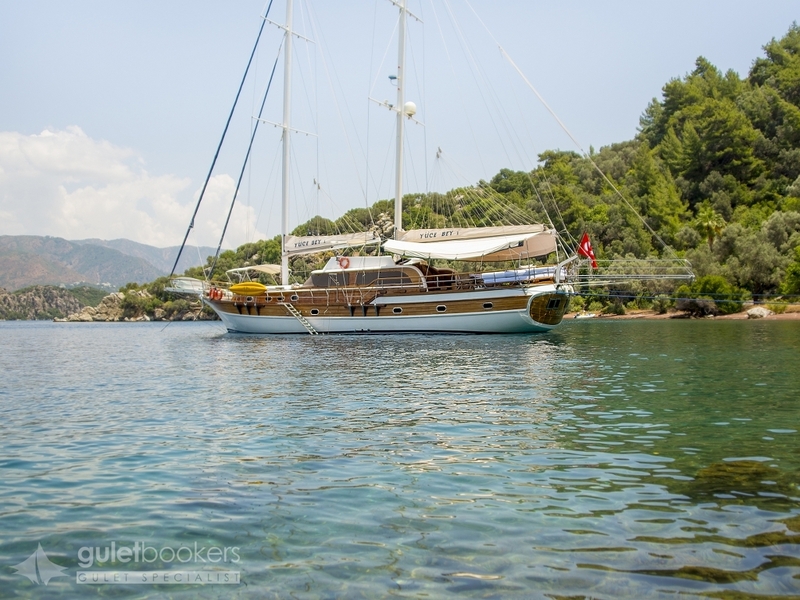 There is even a fly deck found by steps up from the aft deck where guests can sit for a drink or a chat to the captain as the gulet moves from bay to bay. 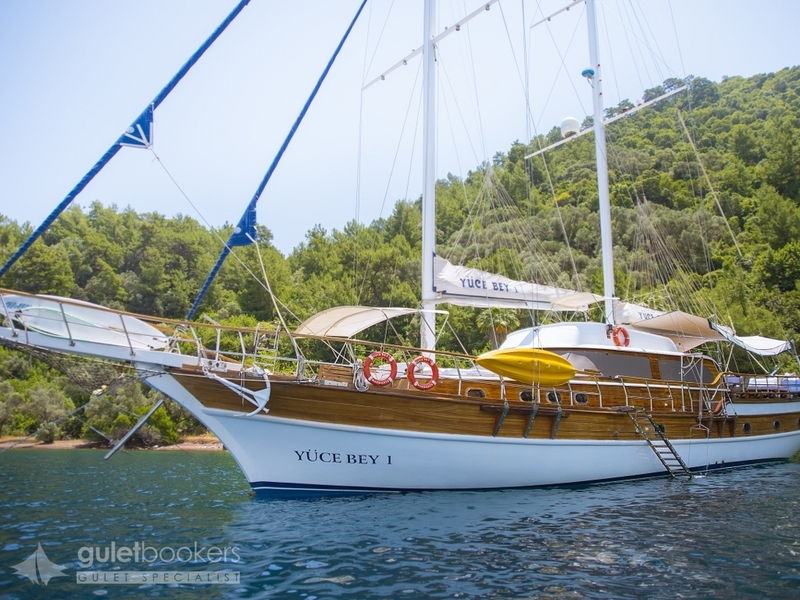 The captain and crew of three can take the Yucebey 1 gulet on a cruise along the Turkish coast or nearby Greek Islands finding anchorages in quiet coves, beside historical sites or in local town harbours, or in bays for playing on the water toys, adding a great mix to the luxury holiday afloat.